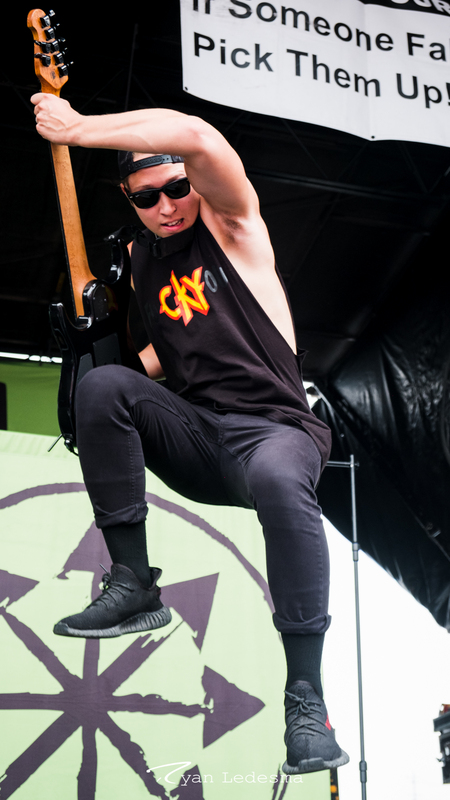 Home » Live Events » Warped Tour Drew huge Crowds Despite the Heat. Warped Tour Drew huge Crowds Despite the Heat. Stacked Like Pancakes performing Wednesday in Saint Louis for Vans Warped Tour. Photo by Ryan Ledesma. The Vans Warped Tour made its stop in St. Louis Wednesday, setting up shop for the day at Hollywood Casino Amphitheater. Despite the near 100-degree temperature on Wednesday, the tour still drew a huge crowd. The White Noise performing Wednesday in Saint Louis for Vans Warped Tour. Photo by Ryan Ledesma. I started off the day at its hottest, staring at the giant wall of set times, and after only a few minutes I was ready to cool off already. This is why Hollywood Amphitheater is perfect for this kind of festival, it has room for a mix of shows out in the open, and some under the shade of the pavilion. This makes you wander around and see some bands you might have missed otherwise. Barb Wire Dolls performing Wednesday in Saint Louis for Vans Warped Tour. Photo by Ryan Ledesma. This is how I stumbled into The White Noise, I was just stepping into the shade for a break from the heat. I was immediately drawn to the energetic lead singer, who was jumping all over the stage and wasn’t afraid to get up in the crowd’s face. This is one of the shows that deserved a bigger crowd. Attila performing Wednesday in Saint Louis for Vans Warped Tour. Photo by Ryan Ledesma. Another act I thought should have had a bigger crowd was one of my favorites of the day, Valient Thorr. They had an older school metal sound that really stood out from the rest of the shows I saw. Bad Cop Bad Cop performing Wednesday in Saint Louis for Vans Warped Tour. Photo by Ryan Ledesma. Some other high energy bands were Stacked Like Pancakes, Attila, and Barb Wire Dolls. The lead of Stacked Like Pancakes got out into the crowd, and actually stood up on the hands of the fans while not missing a beat. 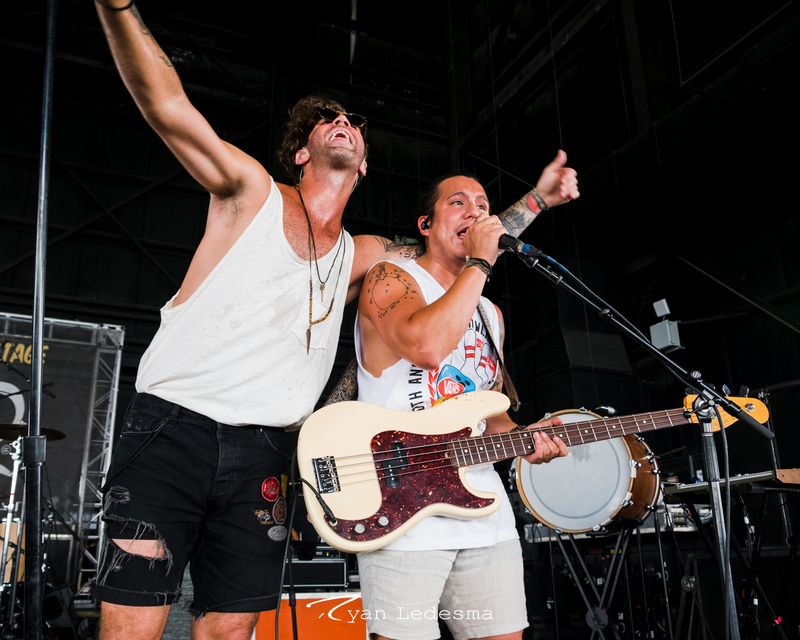 American Authors performing Wednesday in Saint Louis for Vans Warped Tour. Photo by Ryan Ledesma. Not all the acts were as wild though, with a couple notable low key bands being American Authors, Microwave, and William Control. I recommend checking out William Control, as they had one of the most unique sounds on the tour. I would put it as a darker hard rock mixed up with electronic sounds. Fire From the Gods performing Wednesday in Saint Louis for Vans Warped Tour. Photo by Ryan Ledesma. Bowling for Soup proved to be a crowd favorite, drawing one of the largest crowds of the day. They were just a fun band to watch, with the lead constantly cracking jokes between songs. 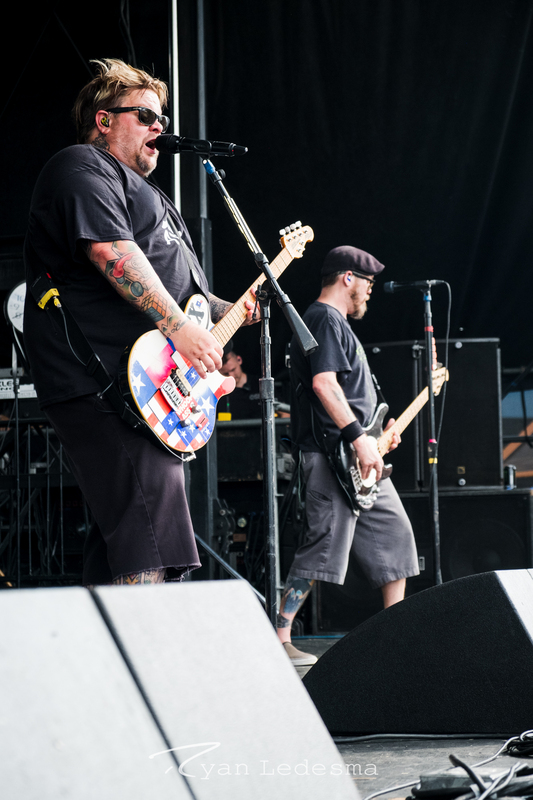 Bowling For Soup performing Wednesday in Saint Louis for Vans Warped Tour. Photo by Ryan Ledesma. Another fan favorite, and my last show for the day was Gwar, which proved to be the most interesting show off the whole day. For those uninitiated to Gwar (this guy), the band is made up of giant Viking styled aliens, whose first act of the set is to chop off the head of one of the characters and spray his “blood” all over the crowd, and the fans loved it! 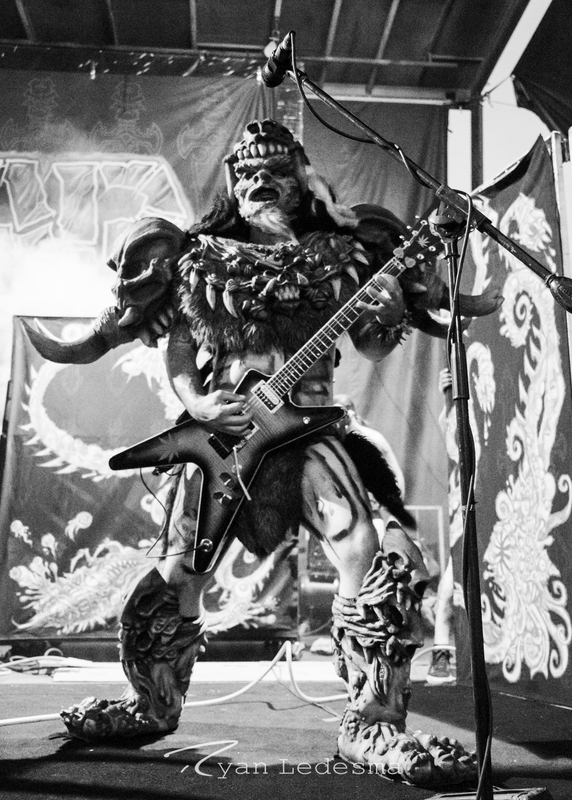 Gwar performing Wednesday in Saint Louis for Vans Warped Tour. Photo by Ryan Ledesma. After Gwar, there wouldn’t really be any other way to finish off the day. So as the sunset brought cool relief and the last band finished their sets, I closed out another successful Warped Tour. William Control Wednesday in Saint Louis for Vans Warped Tour. Photo by Ryan Ledesma. Andy Black performing Wednesday in Saint Louis for Vans Warped Tour. Photo by Ryan Ledesma. 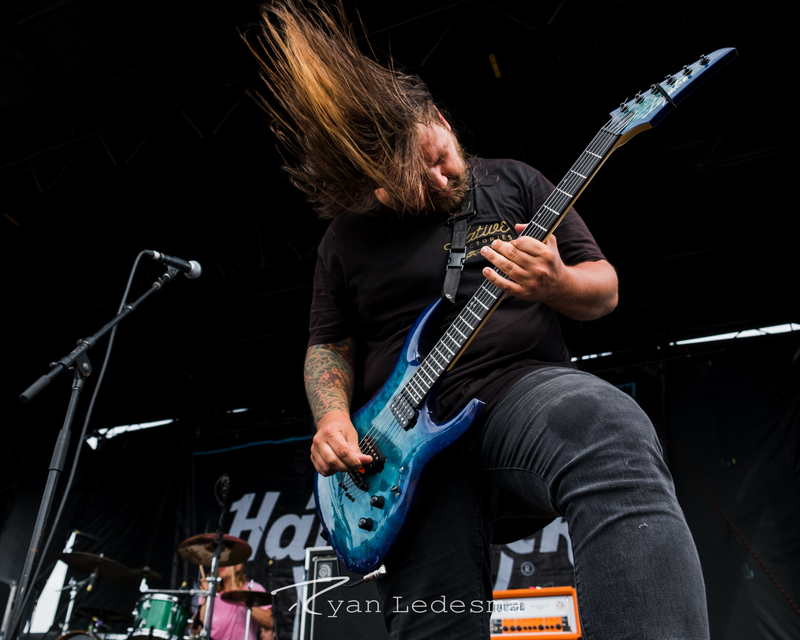 Valient Thorr Wednesday in Saint Louis for Vans Warped Tour. Photo by Ryan Ledesma. 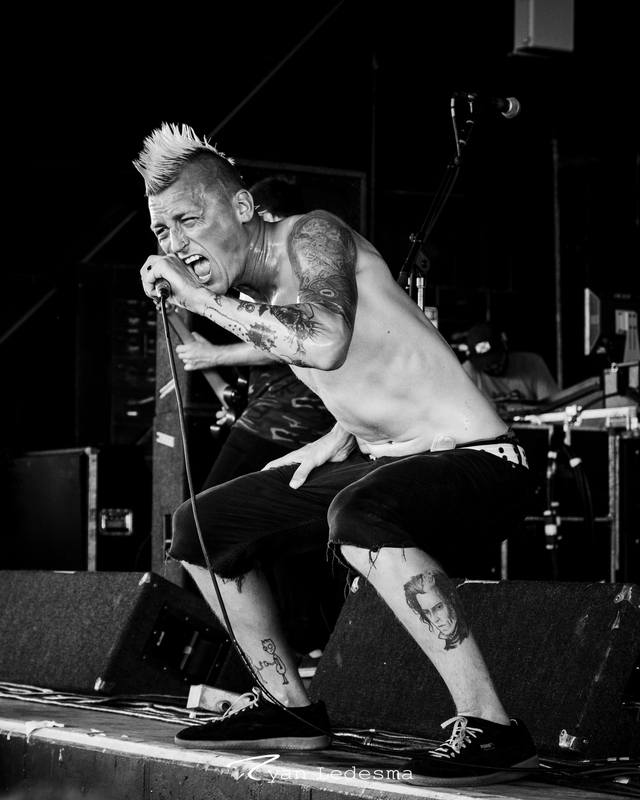 Tillie performing Wednesday in Saint Louis for Vans Warped Tour. Photo by Ryan Ledesma. 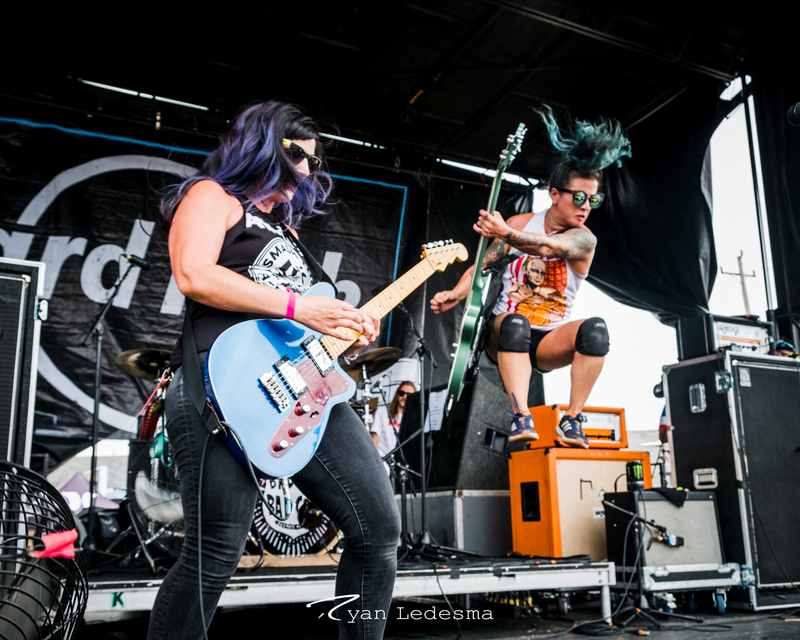 Microwave performing Wednesday in Saint Louis for Vans Warped Tour. Photo by Ryan Ledesma. 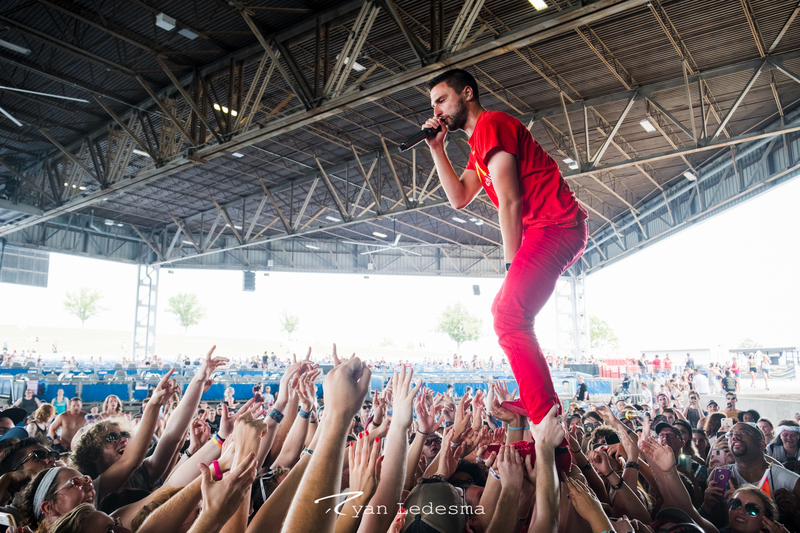 Vans Warped Tour in Saint Louis. Photo by Ryan Ledesma. Futuristic performing Wednesday in Saint Louis for Vans Warped Tour. Photo by Ryan Ledesma. T.S.O.L. performing Wednesday in Saint Louis for Vans Warped Tour. Photo by Ryan Ledesma. Municipal Waste performing Wednesday in Saint Louis for Vans Warped Tour. Photo by Ryan Ledesma. Save Ferris performing Wednesday in Saint Louis for Vans Warped Tour. Photo by Ryan Ledesma.